FCA to add certified auto body shop network in Canada as OEM programs heat up in the U.S. Joining a similar FCA program in the U.S., Fiat Chrysler Automobiles announced Wednesday that it would launch a Canadian certified Mopar auto body shop network. The Mopar Certified Collision Repair Facility Program will be certified through a Canadian spinoff of Assured Performance, FCA’s certified network partner in the United States. Any Canadian shop already certified by Certified Collision Care will receive FCA recognition as Mopar-certified effective June 1 as well as signage to promote their status. The FCA certification network will be the first OEM for the brand-new Certified Collision Care program, and it appears to be one of the first mainstream OEM programs in Canada. Honda’s ProFirst program also can be found in the country, formally debuting with the February 2015 announcement that CSN Collision Centers-Dana’s Collision Center was the first ProFirst shop in the nation. FCA sold 293,061 vehicles last year in Canada, mostly Jeeps and Rams. 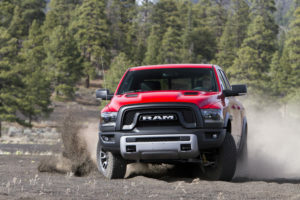 It’s the highest sales ever recorded by the company or its predecessor businesses’ 90 years of existence, and the Financial Post reported FCA was No. 1 overall in Canada that year. 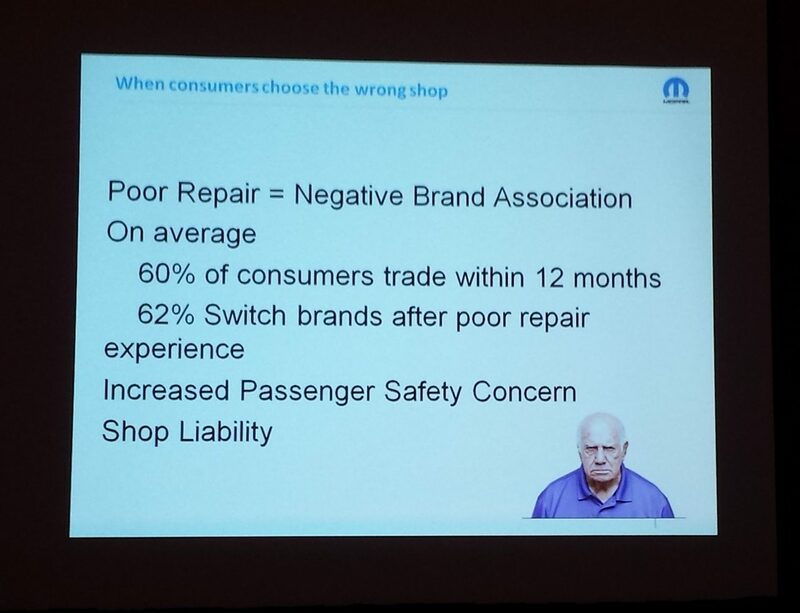 FCA research has found that half of customers dropping an automotive brand do so because of a bad repair. “We have to take care of our customers,” FCA collision marketing manager Erica Schaefer said last year at NACE. The FCA program will be open to dealerships and independent shops, as it is in the United States. Assured Performance launched Certified Collision Care in late January, following the success of the U.S. Assured Performance network. In January, the latter reached 2,000 shops with certification from at least one OEM. Jefferies wrote in an email Thursday that the company had eight certified shops and 70 shops “and climbing” registered to seek certification. The tallies include certified dealerships. However, Jefferies later noted that “a few hundred shops” had also pre-registered. “We expect these shops to be online very soon as well,” she wrote. Training and equipment requirements for the Canadian program (see them here) are similar to the American version, according to Biggs. I-CAR Canada Gold Class status and I-CAR Canada steel welding certification are also part of the requirements, and more I-CAR coursework is necessary if a shop is trying to get optional Certified Collision aluminum certification. In the U.S., an Assured Performance aluminum certification translates into a spot on Ford’s F-150 certified network, so it’ll be interesting to see if Ford signs on up in Canada. The F-Series was the top-selling Canadian vehicle for the seventh year in a row, and Ford trucks commanded 223,788 of Ford’s 278,531 Canadian sales. OEM certification, previously the domain of luxury auto manufacturers, has been a hot topic in the U.S., and it has the potential to be a major disruptor to the existing competition between insurer-affiliated direct repair programs and non-DRP shops. Besides the marketing power of automakers at the dealership and in subsequent communications with owners, connected car systems allow an OEM to direct a driver to a certified shop immediately following a collision. In 2015, Hyundai announced an Assured Performance-run network, and Cadillac (for the CT6 only) and Honda partnered with VeriFacts on similar certification initiatives. These joined existing Assured Performance-managed programs for Ford, Nissan and FCA. Earlier this month, an executive from General Motors said the No. 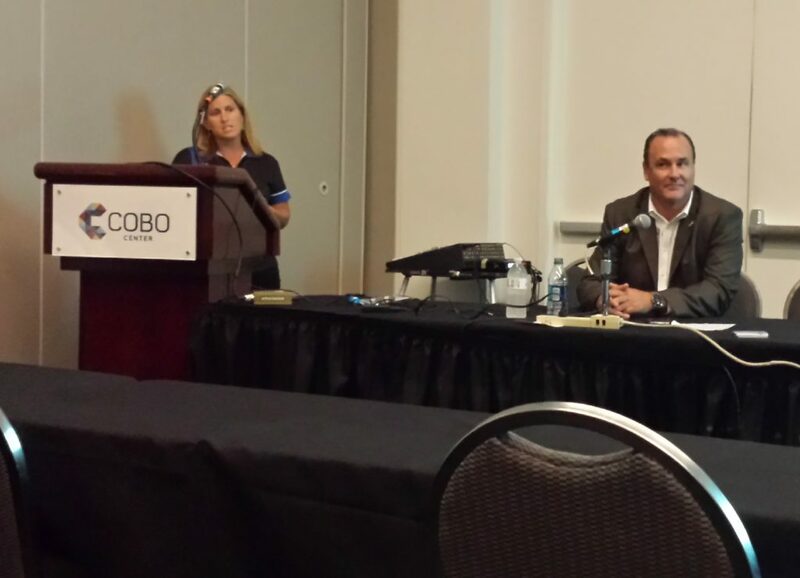 1 automaker was considering launching an OEM collision repair certification program with an emphasis on the actual work done by the network, an executive said Thursday.